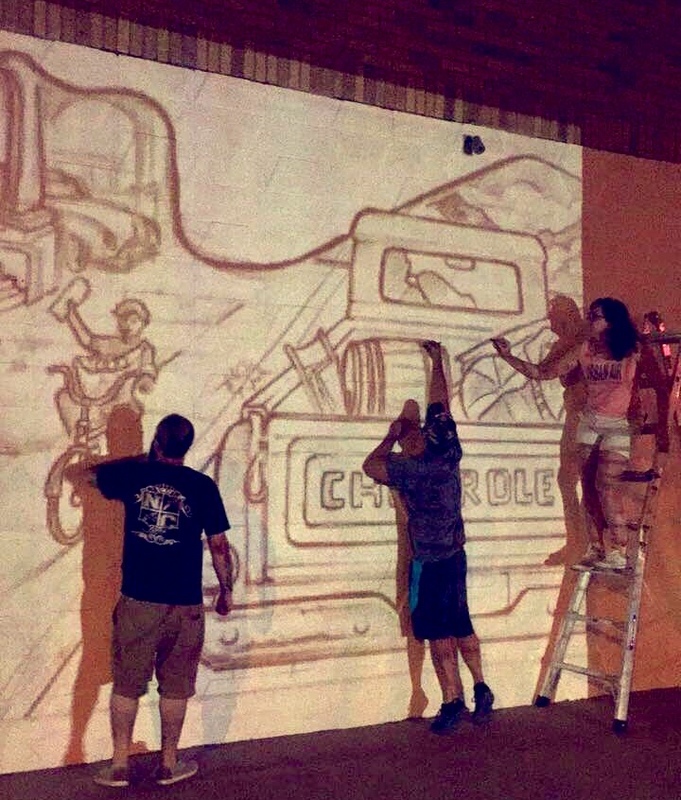 Clovis MainStreet and Clovis Community College have teamed up with a great group of students and muralist and art instructor, Michael Longhofer, to create a wonderful piece of art downtown for our community to enjoy for years to come! Watch as the mural progresses from week to week on our facebook page and see if you can guess the meaning behind the design! !